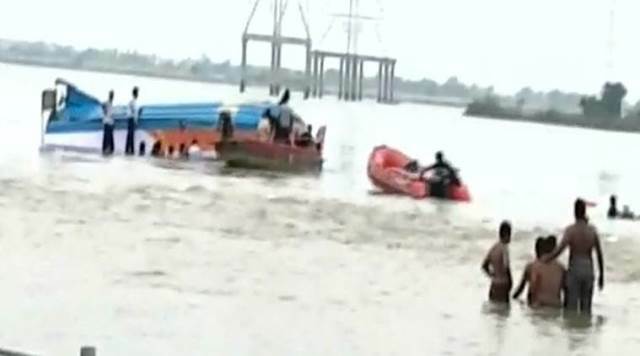 On Sunday, in a very tragic incident, minimum of 26 people were feared dead when a boat carrying 38 people on board capsized at the Pavitra Sangamam Ghat in the river Krishna on Sunday. Initial counting of dead in the mishap has already reached 26 out of which 16 bodies has been recovered. The remaining 12 people either rescued by local fishermen or helped themselves by swimming across. According to the reports the reason for the mishap was that the boat was overloaded and on top of it, at the Pavitra Sangamam the buoyancy of water changed, which led to the imbalance.